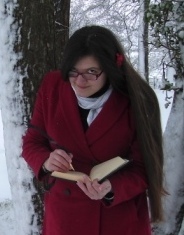 That’s me… Faeries are serious business! I am an Enchantress, a philosopher, an artist, a storyteller, and a devotee of delight! My mission is to re-enchant the world… through art and writing and sharing as much healing beauty with the world as I can. My Vision is of a world of enchantment, connection and delight. My Work is to walk the path of empowered enchantment with you, under the watchful eye of the Queen of Faery. 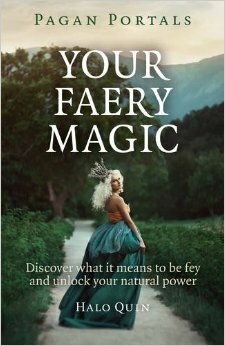 I even wrote an introduction to my kind of Faery Magic. My dream is that in healing ourselves and finding the beauty and brilliance in our lives, we share it with the world, healing the damage done by the disconnection that surrounds us. In partnership with each other and the Spirits of Nature who choose to work with us, we can begin to heal the rift between the worlds of magic and the mundane. I include crafts under the heading of ‘art’. I’m studying philosophy in Wales. Because of my studies, I occasionally question what this whole thing called art actually is. And faeries, for that matter. I like to play and am always learning new things. I randomly spend time in Faery. I am grateful for many things. I am good at sleeping. I created and run a Goblin Circus. I have Big Goals, and I achieve them. And for news of things to come you can sign up to my newsletter here! Love your little Imbolic dotee.